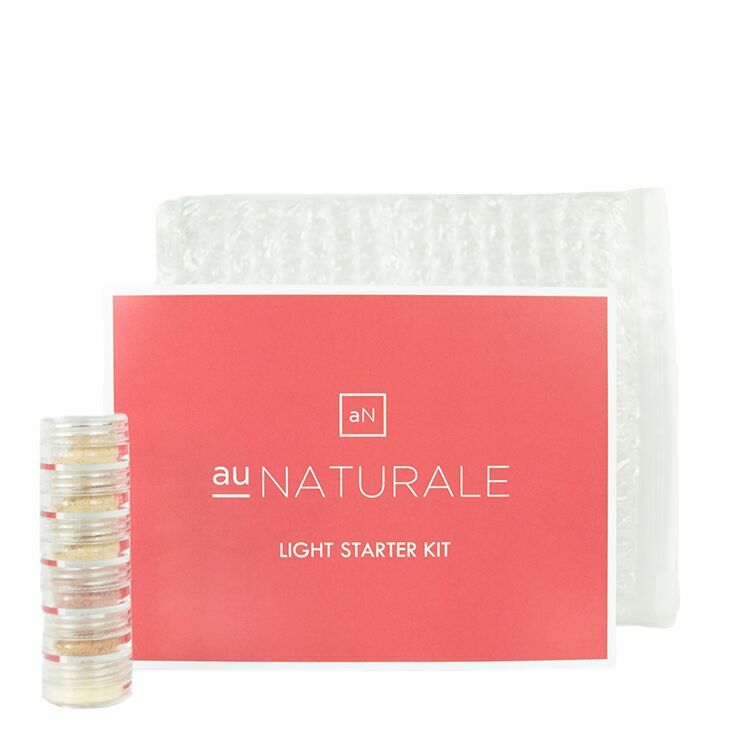 Let the Beauty Revolution begin! 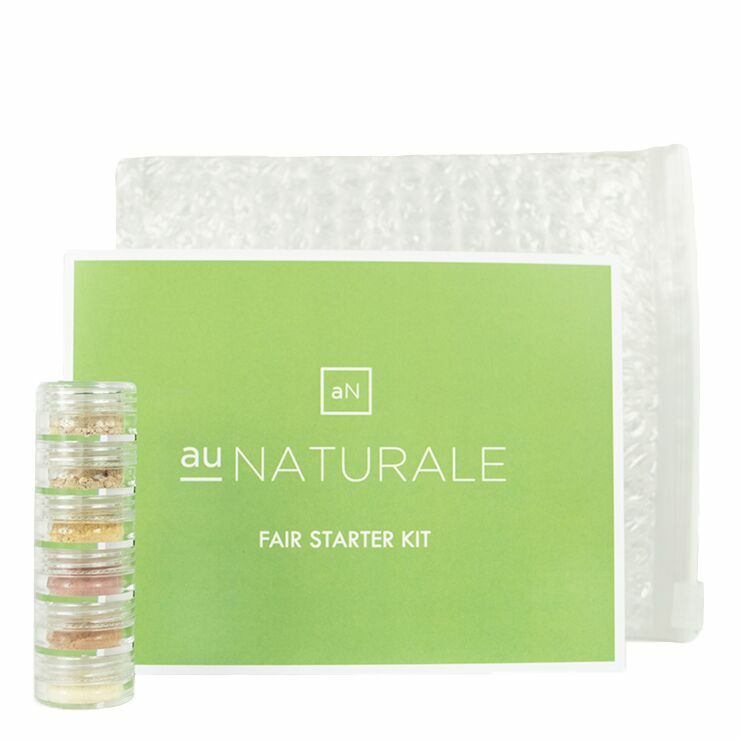 Au Naturale’s Starter Kits provide healthy, organically-sourced and earth-based pigment ingredient makeup kit, formulated to enhance skin’s natural beauty and radiance. Each comes with a range of three Semi-Matte Powder Foundations, a Pure Powder Blush and a Pure Powder Bronzer. And what's a starer kit without a Pore Minimizing Finishing Powder to set your new look into place? 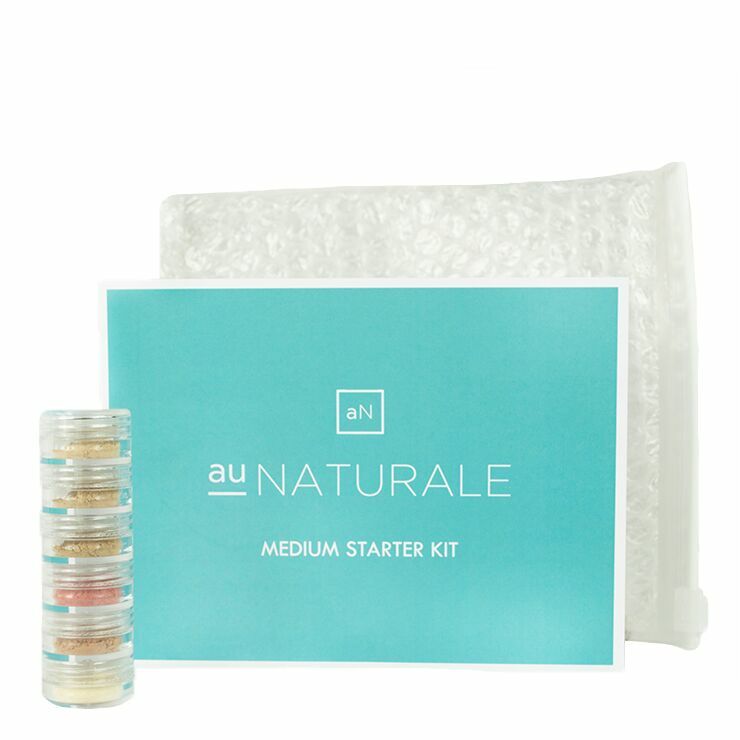 This kit is the perfect way to introduce clean beauty into your daily makeup routine. 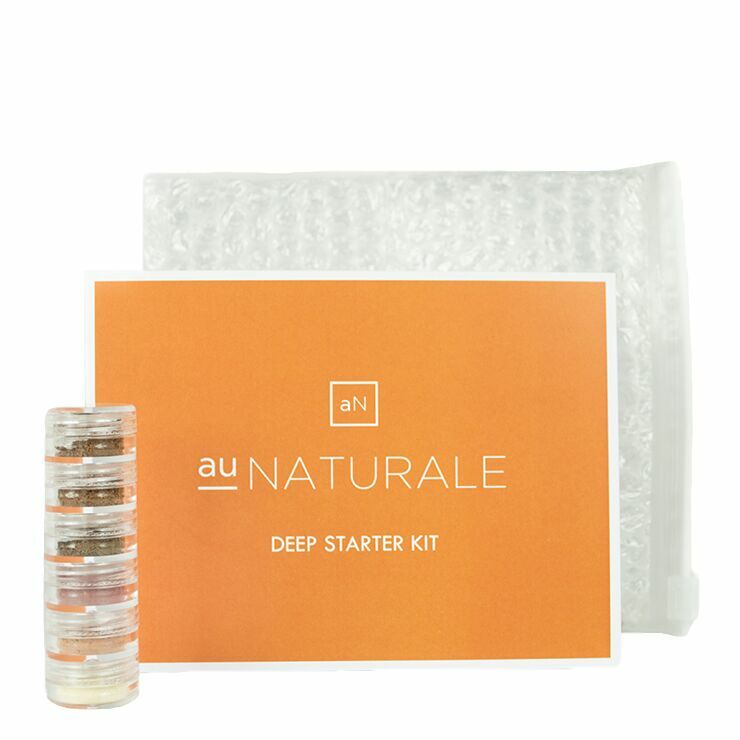 Massage over cleansed face until fully absorbed. Follow with natural foundation, powder or makeup if desired. Semi-Matte Powder Foundation - Zinc Oxide,Titanium Dioxide, Iron Oxides, Mica. Pure Powder Blush - Titanium Dioxide, Iron Oxides, Silica, Mica. Pure Powder Bronzer - Zinc Oxide, Titanium Dioxide, Iron Oxides, Micas. Pore Minimizing Finishing Powder - Maranta Arudinacea (Arrowroot Root Powder), Titanium Dioxide, Iron Oxides, Micas.